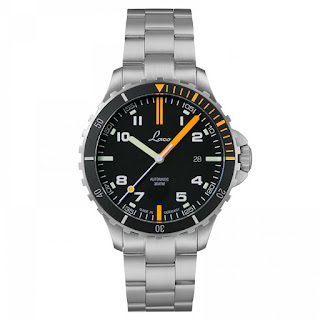 Trek across the Mojave Desert with the Laco Squad Mojave with its bright orange; dive-time scale, minute hand, lollipop seconds indicator and 6 and 12hr markers. 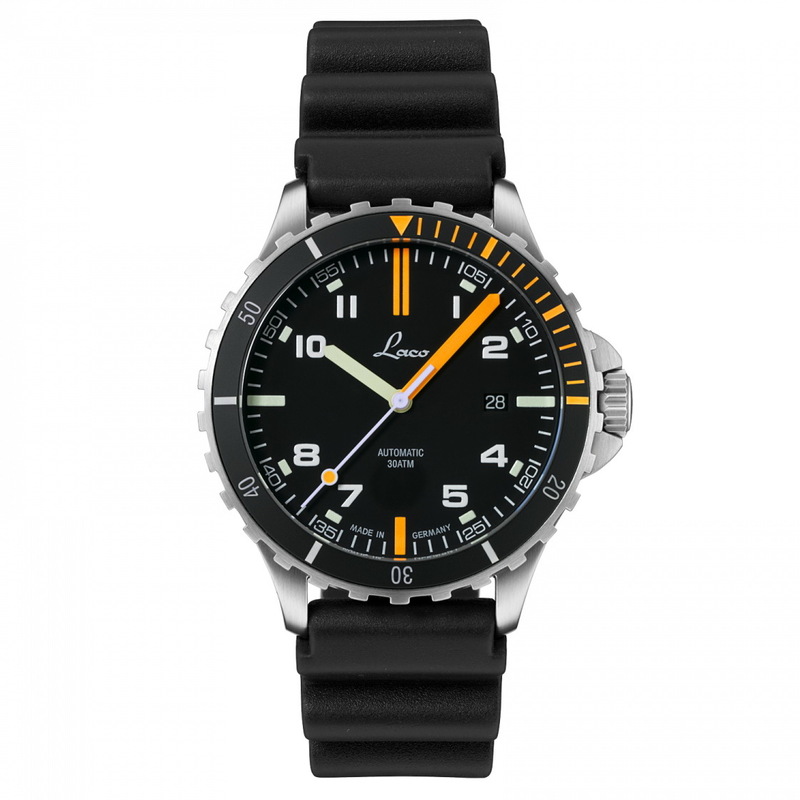 The Mojave has a 42mm in diameter by 13.5mm thick Stainless steel case which is fitted with a double domed and anti-reflective Sapphire crystal and a screw-down case-back with scorpion relief. The Mojave gets a matte black dial with combination baton and Arabic numerals brightly glowing SLN, a white minute track and a stealthy black date window at 3 o’clock. The Mojave comes with a 22mm black rubber divers strap or alternatively opt for the Mojave MB and get a 3-link Stainless steel bracelet with a diver’s safety clasp. Thoughts? Love the orange lume - should be a popular choice.